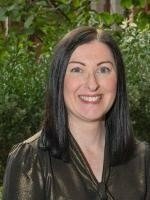 Congratulations to former pupil Dr Lezley-Anne Hanna (nee Wallace) a Senior Lecturer (Education) from the School of Pharmacy who has just been awarded Principal Fellowship of the Higher Education Academy. Dr Hanna previously received Senior Fellowship in 2017 and a National Teaching Fellowship in 2018. Principal Fellow applicants must provide evidence of a sustained and effective record of impact in relation to teaching and learning at a strategic level, both within their Higher Education institution and in (inter)national settings. To date, only five staff across the University have been awarded HEA Principal Fellowships. Indeed, while there are 112,000 Fellows in the world, just over 1,000 of these are Principal Fellows. 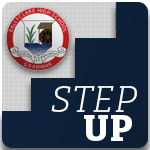 This is, therefore, a significant achievement for educational excellence and leadership.